Here's where to watch every episode of Kung Fu: The Legend Continues season 3. Mouseover or tap an episode to see where to stream it. Click or tap the play icon to stream it on the best available service. Rite of Passage Jan 25, 1995 Peter gets off on the wrong foot with his new captain. Meanwhile, Caine has travelled to Shambhala to battle an evil warrior who has ties to Peter's world. Plague Feb 1, 1995 When a deadly plague is released by a madman, can Caine come up with the antidote in time? May I Walk With You Feb 6, 1995 When Peter spends a day following Caine on his rounds, they end up dealing with a hostage crisis. The Return of Sing Ling Feb 15, 1995 When a young Chinese emperor is targeted for murder, Peter and Caine end up protecting him during his return trip to China. They are pursued by a determined agent of the Chinese government. Manhunt Feb 22, 1995 When an Assistant District Attorney is murdered, the evidence points to Peter, as the likely suspect. 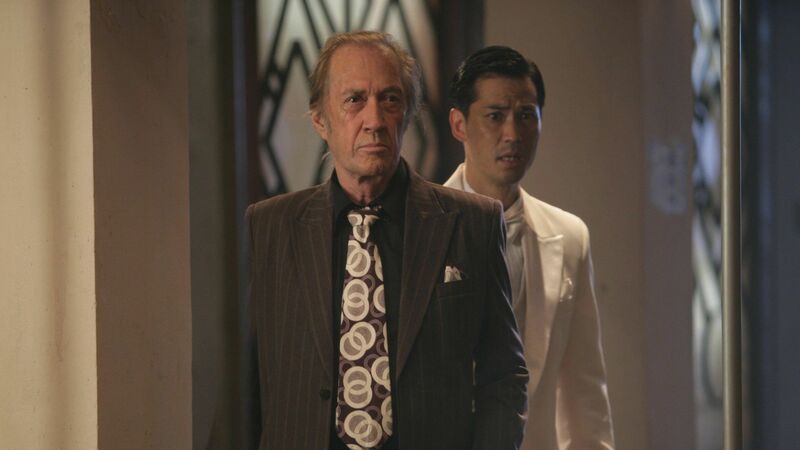 Gunfighters Mar 1, 1995 In this time-travel episode, Caine switches places with his grandfather, the Kwai Chang Caine from the Kung Fu series, endangering his very existence. A Chinatown Murder Mystery: The Case of the Poison Hand Apr 26, 1995 Peter investigates a case where two physicians have died of unknown causes. A third physician says he is also dying and Caine agrees with that diagnosis. The third doctor tell Peter that he knows who has "murdered" him. Target May 3, 1995 A South American witch doctor (a "brujo") from Peter's childhood, possesses him. Citizen Caine May 10, 1995 Caine runs for City Council to stop a developer frm evicting tenants. Meanwhile, Peter takes the lieutenant's test: a passing grade would mean a transfer. Quake! May 17, 1995 An earthquake shakes up the city, and shakes loose a criminal that Peter and Jody just apprehended. Goodbye Mr. Caine May 24, 1995 Peter and his father visit a local high school to help the students and teachers after a undercover cop is stabbed at a basketball game. Guest Stars-Scott Speedman. The Sacred Chalice of I-Ching Jul 5, 1995 Someone's after a diary owned by Caine's father, which contains half a map leading to an ancient chalice with powers ""too great for mortal man."" Eye Witness Jul 26, 1995 Peter must protect a mob lawyer whose past includes a run-in with Caine that ended in tragedy. Demons Oct 4, 1995 Kermit's sister is being dogged by ""dark forces"" in her house, where a murder had been committed. Who's she gonna call? Caine. Deadly Fashion Oct 11, 1995 Rivals of the Shaolin, a terrorist group known as the Scorpion Sect, have infiltrated a fashion show which is on tour. While Caine impersonates a fashionista named Gaston, Peter finds himself in a bodyguard role for the show's supermodel, Alana. Cruise Missiles Oct 18, 1995 Memebers of the 101st Precinct board a cruise ship for a wedding/ Also aboard: terrorists with a cruise missile. The Promise Oct 25, 1995 Caine comes to the aid of on old flame whose physician-husband is being ""run out"" of the town where they live. Flying Fists of Fury Nov 1, 1995 On the set of a martial arts movie, whose star resembles Peter as closely as any identical twin, something evil is sabotaging the film. Banker's Hours Nov 8, 1995 When some high-tech criminals decide to rob a bank, they take more than twenty people hostage. Unfortunately for them, one of the hostages happens to be Caine. Kung Fu Blues Nov 15, 1995 Caine's bluesman friend is singing the blues when his daughter, an up-and-coming singer, gets mixed up with a nasty producer. Brotherhood of the Bell Nov 22, 1995 Caine is held captive in a castle where an ""evil beyond comprehension"" lurks. Its personification: his brother Damon. Destiny Nov 29, 1995 Peter decides to become a Shaolin priest, but a ""negative force"" lurks in the temple where he's studying under Caine.